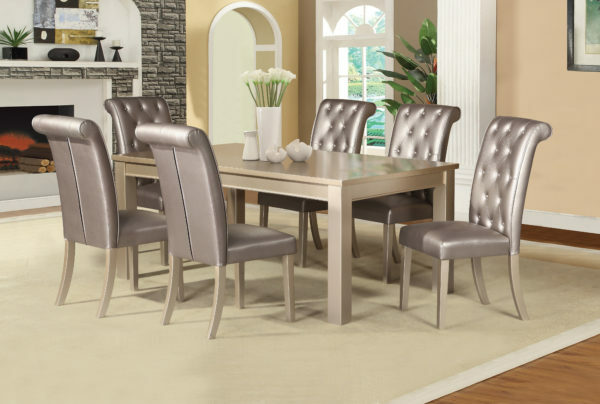 Belle Dining Room Champagne 7-Piece Dining Room transforms a simple meal into a culinary event. 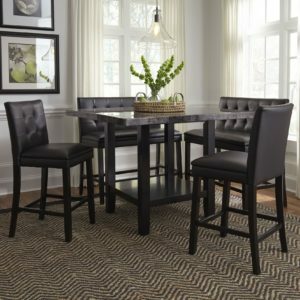 Ideal for upscale dinner parties yet versatile enough for everyday this set includes one dining table and four luxurious chairs. Includes table and 6 side chairs.